Myken: Ali Boston has been to Myken and paints a rather lovely picture. Talking of Myken, would you like to own your very own cask of Myken spirits? Orders are now being taken for 40 litre casks, presumed to be mature just about the time the whisky comes of age. For more information contact Myken distillery (e-mail: post at mykendestilleri.no) or check out their pdf with more information (including explanations for the somewhat odd purchase processes that Norwegian regulation dictate) that I’ve shared via Google Docs. 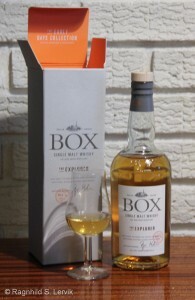 Sweden: Box whisky released the third expression in their The Early Days Collection: The Explorer. 10,000 bottles were released at Systembolaget 5 June. Earlier this week there were still a few left, but they seem to be all gone now. We’ll be back with tasting notes soon, probably some time next week. Nose: To start with it’s more closed than The Pioneer. Wheat baked goods with herbs. I made rosemary buns once, it smells a bit like those. A little lemon, and dusty malt loft. Water opens for some congeners and “grønnsåpe” (a traditional soft soap), but still plenty of herbs, wood and lemon. Palate: The first thing that went through my head was “I like this!” Orange sweets and juniper berry, malt and dry twigs. With water I find tart apples and dry wood. Comments: I was only planning on purchasing one bottle of The Challenger. Now I must say I’m rather pleased I gave into temptation and ordered two (the maximum per customer) when I sat there waiting for the order button to turn green on the Systembolaget web launch. Because this is just spot on, and I like it. This is a bottling from a private Box cask, a so called “ankare”. 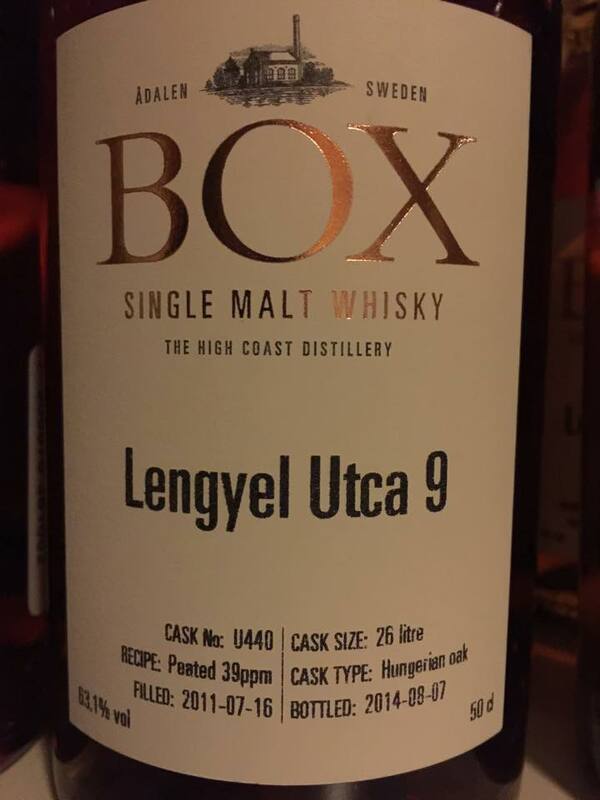 The cask – or rather the contents of it – belong to Tobias Johnsson, who explains that Lengyel Utca 9 means Poland Street 9, which was his first address in the Hungarian town of Szeged where he studied. He chose a cask of hungarian oak for sentimental reasons. A big thank you to Tobias for the sample, it tempts me further towards buying my own “ankare” when the results can be this good. Nose: Juniper and cask. Lemon and oak staves. More spice with water; rosemary and thyme, vanillin, cinnamon and oak. Palate: A somehat harsh and bitter oakiness, but also vanilla and dark chocolate. With water the harshness disappears and it aquires some black pepper. Comments: The only drawback to this one is that the spice and vanilla in combination reminds me of scented candles and I really do not like scented candles. Apart from that it’s a lovely dram, much better than the other Hungarian oak bottlings I’ve tried. 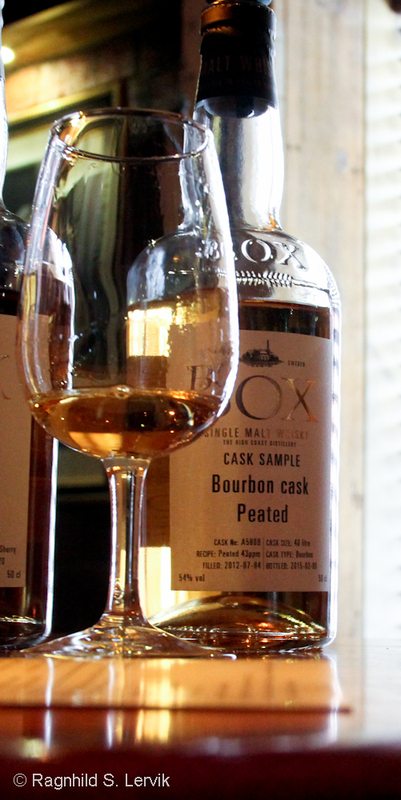 It keeps nicely to the distillery character and is well integrated in a way small cask bottlings rarely are. Filled into cask 20.05.2011, bottled 15.09.2014. Nose: Rosemary and lemon. Cinnamon and oak. With water I find dark chocolate and coriander seed. Dust and black pepper. Palate: Milk chocolate, burnt sugar, juniper wood and oak staves. With water the chocolate turn darker and the wood gets an accompanying spicyness; bay leaf and pepper. Comments: It’s a pity I don’t have a bottle or three of this stashed away. It was a sample, and now it’s gone. Ah, well, I enjoyed it thoroughly while it lasted. 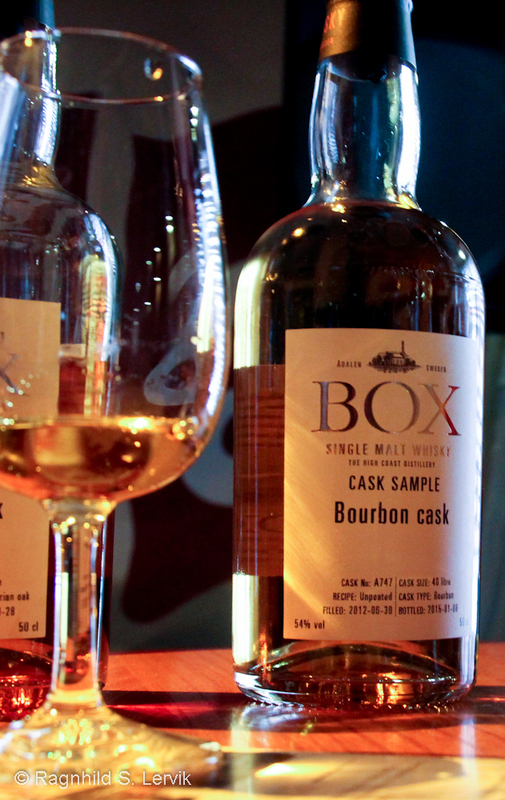 Sweden: On the 20th of November Smögen whisky will release two bottlings at Systembolaget. One – Smögen single cask 20/2011 – is a single cask ex Maker’s Mark cask bottling, bottled at 60.9%. 295 bottles of 500 ml will be made available. The second bottling – Smögen Sherry Project 1:1 – has been finished in sherry casks, is bottled at 52% and 595 bottles of 500 ml wil be made available. 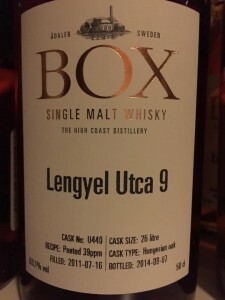 The latter is listed as “övrig sprit” (other spirits) rather than whisky for some reason, though Smögen say it was filled in casks in July 2011 and bottled in September 2014, which makes it three years old by a healthy margin. 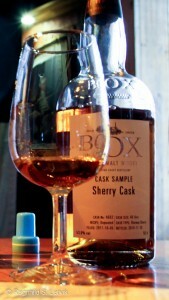 Whiskyblogg.se has tasting notes for the single cask and Whisky Saga for the Sherry Project. 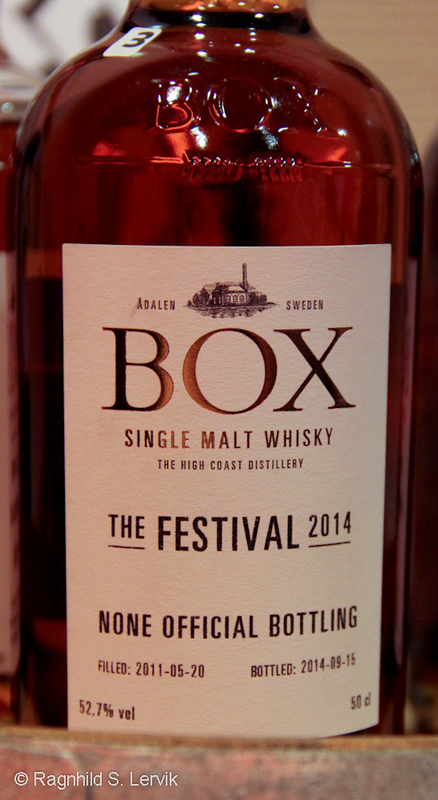 Sweden: Also on release at Systembolaget in November is Box The Challenger, at 48.2%. The date for this bottling is the 27th, and a pre-release was held at various Swedish pubs on the 13th. I will be ready to order on the 27th myself, the jury is still out on the 20th, but I have to admit it’s tempting. Travelling round Sweden this summer, we’d booked a time with most of the places we wanted to visit, but as Box did two tours a day all summer, we just showed up. The eldest was exceedingly happy about being left in the visitor centre with a pad, wifi access and 100 SEK to buy ice cream with. There aren’t many distilleries that have more child-friendly waiting areas. The youngest was relegated to dad’s back. Unforunately, she was not happy with this arrangement, so Arve missed most of the tour. One of the drawbacks of public tours is that the other visitors may not appreciate a screaming almost-two-year-old taking part. Oh, well. Box is obviously a popular tourist attraction, despite the maginificent weather our group consisted of 14 people. Anders Jonasson was our guide and he started the tour by relating the site’s history. 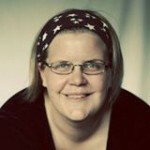 The name Box is actually the name of the site, despite its un-Swedish twang. The site on the Ångerman river was named after a sawmill which was built here to take advantage of the timber being floated down the river. From the 1850ies they specialised in producing planks that were exported to England to make boxes, hence AB Box. After a fire in 1890 the site was sold and a steam powered power station was built here. It was finished in 1912 and the main building is what houses the distillery today. Steam power was soon superceeded by hydraulic power stations, but the building was in use until the sixties. It was then left to deteriorate for 30 years, until Mats de Vahl took action to save it from being torn down in 1991. Various initiatives have since been tested to keep the place alive, and it has served as an art gallery among other things. What was needed was an idea that could bring jobs and traffic, preferably a business that would not be sold and offshored once it was a success, and whisky productions seemed the perfect solution. Mats and his brother Per got eight other enthusiasts on board (including our tour guide)and founded Box Distillery. In 2010 the first spirit ran from the still. Earlier this year Box released their first whisky, the three year old Pioneer. You can find my tasting notes here. Following the history lesson we were equipped with blue shoe covers and entered the distillery proper. We said hello to the mill (not a Portheus) and got to taste the malt. The unpeated malt is Swedish, the peated malt used to be sourced from a Belgian maltster but is currently from Simpsons in Scotland. They have four malt barns with a capacity of 13 tonnes each. At the mashtun we were told that they run two waters, 5000 liters and then 1300 liters, which results in 6300 liters of worts. Once in the washback (the washbacks are stainless steel) 5 kilos of Belgian dry yeast is added. A fruity and somewhat tart beer develops, with an ABV of around 7.5% after 48 hours, but they leave it for another 24 to take advantage of the lactic acid which forms towards the end and which they find gives a flavour profile they like. 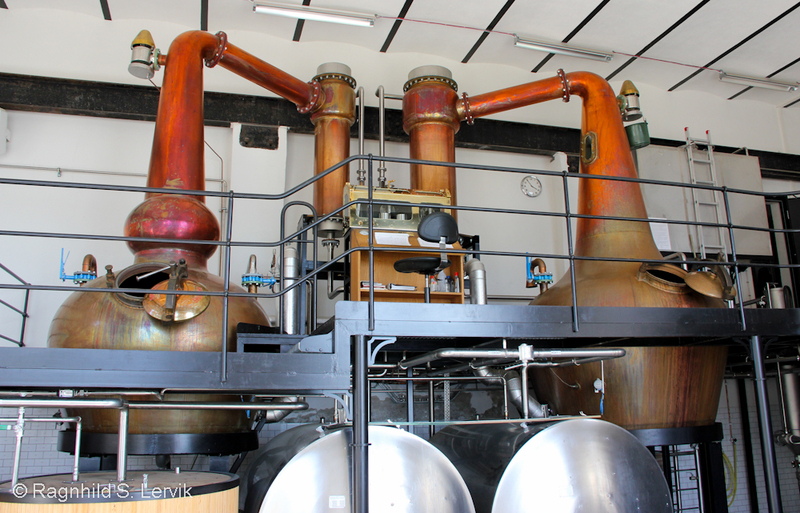 The wash runs through the wash still and gives low wines of around 23% ABV. Then we come to the business end of things: The spirit still. They cut from head to heart at around 13 minutes for unpeated and 30 minutes for peated, and from heart to tail at 67% for unpeated and 60% for peated. One of the best parts of building your own distillery must be to get to play around with these details. Which yeast, how long to ferment for, when to cut? At Box they are left with around 320 liters of newmake, around 10% of the wash volume. 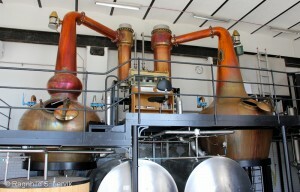 Both Box stills, wash still on the right and spirit still on the left. 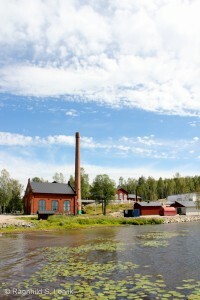 The stills are from Forsyths, and they have a beautiful view of the Ångerman river. The still room may get warm when the stills are running, but as far as looks go you really can’t complain about working conditions at Box. To ease the switch between peated and unpeated spirit and avoid “contamination” they have separate holding tanks, for a small distillery this seems to me to be a smart choice. A week’s production is five times 640 liters at 70% ABV, which is taken down to 63% ABV before being filled. Yearly production is between 150,000 and 160,000 liters filled into casks. The warehouses are not insulated at all, so the temperature varies between -30 and +30 degrees centigrade throughout the year. The warehouse we got to see contains about a year’s production, they have another, larger warehouse which will take around six years’ production, then they will have to build another one. Box related posts at drikkelig.no.